PEBBLE BEACH, California (August 18, 2017) -- The path for the two match play finalists, Randy Haag and Monday qualifier David Games, was lined with stiff competition. Games had to make it past Rooster Run’s Jim Knoll, and Haag defeated his good friend and longtime NCGA competitor Casey Boyns in the semifinals. The 18-hole final started out well for Games as he hopped to a quick 2 up lead after four holes, but the back nine belonged to Haag. The Olympic Club representative never dropped a hole on the back, playing steady golf all the way in to win 1 up. His championship round was no exception. A slow start put him behind a red-hot Games early on, but keeping things close through a tough stretch helped him to pull out a victory. In a similar storyline, the Super Senior bracket saw the defending champion, Frank Pieper, get off to a slow start against the challenger Mike Watney of Copper River CC. Pieper fell to 2 down after a bogey on the par-5 7th, but responded by winning four straight holes from 9 to 12. With the momentum on his side, Pieper played steady golf to close out the championship with a 2&1 win. 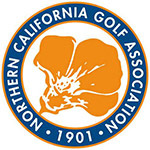 The NCGA Senior Match Play Championship was historically an invite-only event in which the top 16 players on the NCGA Senior points list were invited to participate in the Senior Match Play Championship, held concurrently with the NCGA Amateur Match Play at Spyglass Hill, over a three- day period. However, beginning in 2012 the event was modified to a 32-player match play field, still allotting 16 spots to the top 16 of the NCGA Senior points list, while allowing the other half of the field to qualify. Senior players must have a handicap index of 7.4 or less. There is no handicap limit for super seniors.